Aimable Pet Shampoo helps you save time with a fast lather and even quicker rinse. 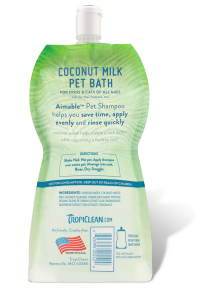 Coconut milk helps create a rich lather while supporting a healthy and fresh coat. Purified water, coconut water, mild coconut cleanser, hydrolyzed wheat protein, organic blend of (papaya extract, aloe barbadensis, raspberry extract, kiwi extract), fragrance. 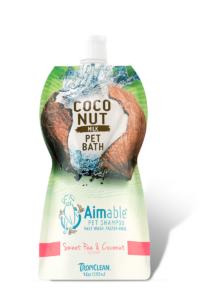 Made with natural ingredients for fresh scents and a tropical clean. Shake Well. Wet pet. Apply shampoo over entire pet. Massage into coat. Rinse. Dry. Snuggle. What Makes a Great Shampoo? 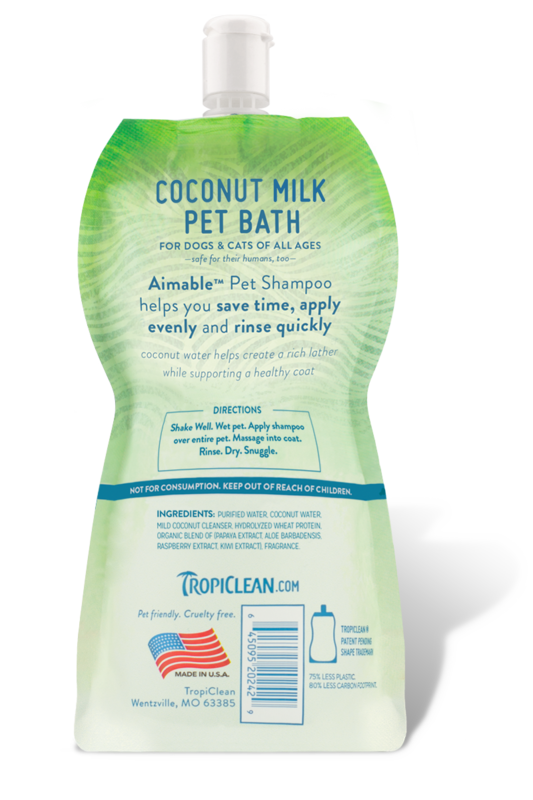 Visit us on Instagram and post your photos with the hashtag #TropiCleanFresh for a chance to have your pet featured on our site and social feeds!